The glitz and glam of summer movie season is a thing of the past and it's finally time to get into some gritty, dramatic Oscar-contending films. There are a lot of these such films coming out over the course of the next several weeks, so Trailer Tuesdays are going to start getting quite busy around here. The cast is chock full of Academy favorites: Clooney, Gosling, Marisa Tomei, Philip Seymour Hoffman, Paul Giamatti. It's already getting a ton of Oscar buzz, and judging from the trailer I can see why. 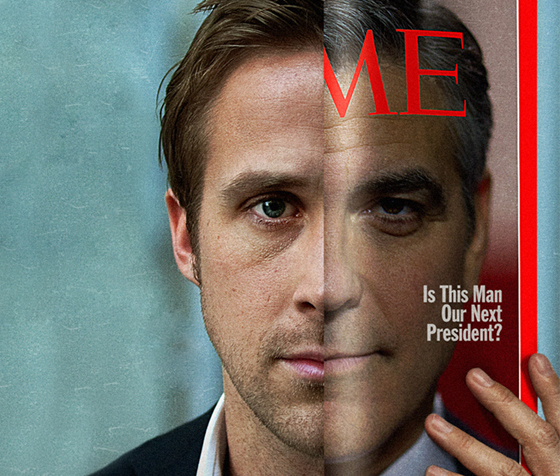 Ides of March hits theaters this Friday, October 7.